A curated marketplace for the most refined design, WallpaperSTORE* stocks, wraps & dispatches our pick of the finely formed & forward thinking. Bethan Gray is known for her passion for luxurious natural materials, such as solid wood, marble and leather. This smooth, round serving platter is the perfect example of the British designer’s approach, made out of beautifully combined green amazonite stone and black marble stripes. Part of The Ruby Tree Collection. Elinor Portnoy’s ‘Juicer 2’ is in equal parts a kitchen utensil and a decorative object. 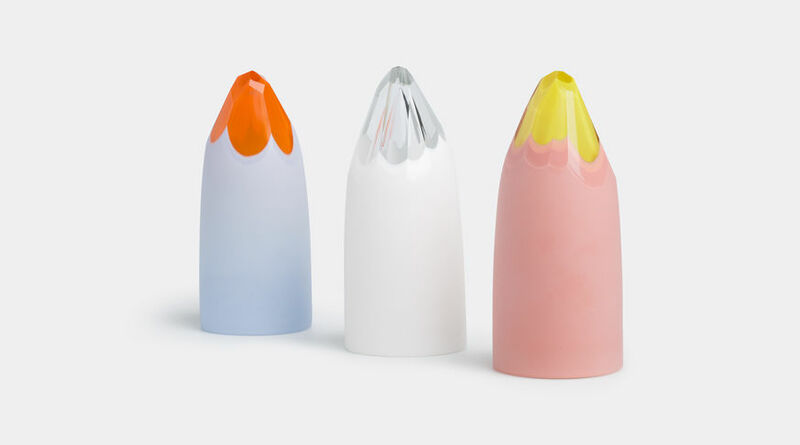 Presented as a series of clear and opaque sheets of coloured glass, the tool’s peeled back layers are reminiscent of the citrus fruit it is intended to squeeze. A sandblasted base ensures a firm grip, whilst an air bubble at the juicer’s core guarantees a lightness and ease of control. Taken from Jansen+Co’s ‘Artmug’ collection, the ‘Artmug Piet’ looks to the world of contemporary and modern art for inspiration. Dutch designer Anouk Jansen’s use of colour on each piece in the series is heavily inspired by a specific artist, after whom each cup is named. 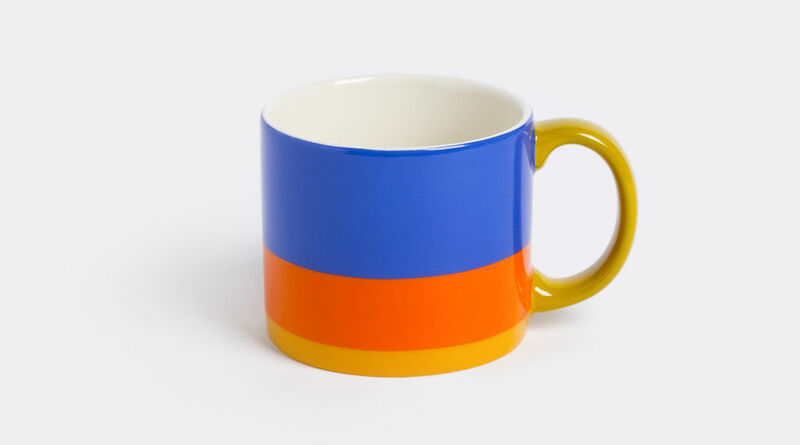 Here, the work of Mark Rothko has served as Jansen’s starting point, with the American’s abstract colour blocking clearly influencing the ceramic cup’s thick horizontal strips of blue, orange and yellow, which are finished with a glossy glaze. Conceived by designers Luca Nichetto and Lera Moiseeva for Mjölk, the Sucabaruca coffee set is influenced by the Italian ritual of filtered coffee and the iconic Caffè Florian in Venice, where Nichetto resides. Consisting of a coffee pot, a funnel, and three cups, the porcelain set is handmade in Toronto by Alissa Coe, and each piece is hand-engraved with a linear pattern. Stained with vibrant hand-mixed pigments, the set is a colourful tribute to French graphic designer Jean-Paul Goude. 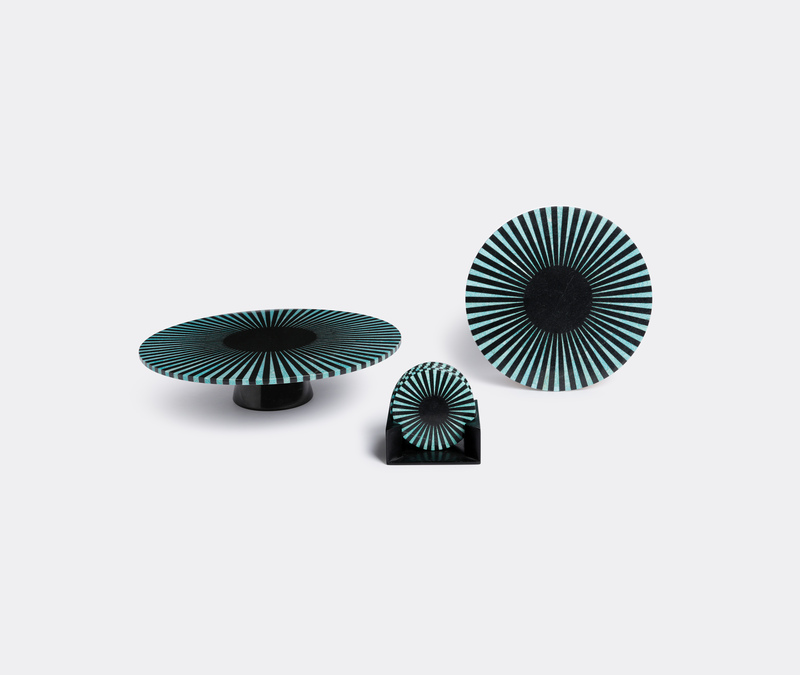 Vibrant colours, graphic patterns and complementary colour combinations: this set of three wooden plates bears all the hallmarks of Dutch design duo, Scholten & Baijings. 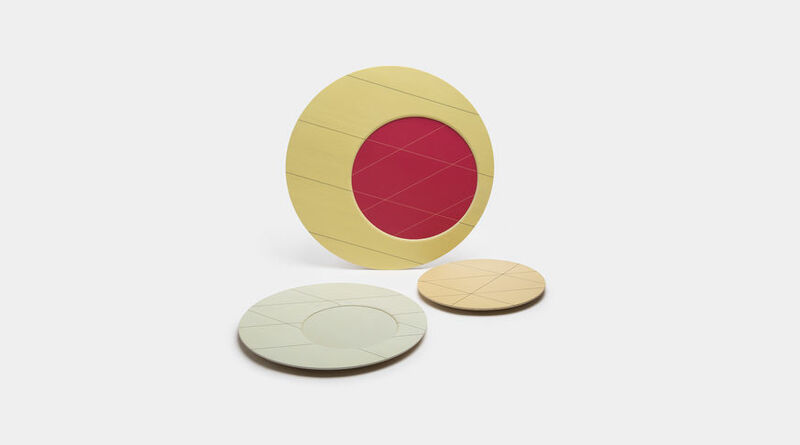 Designed for Karimoku New Standard, the ‘Colour’ platter features three wooden plates, each printed with a contemporary linear design. Combining the colours of beige, cream and grey, the Japanese chestnut pieces are stackable and versatile enough to be used as plates or trays. 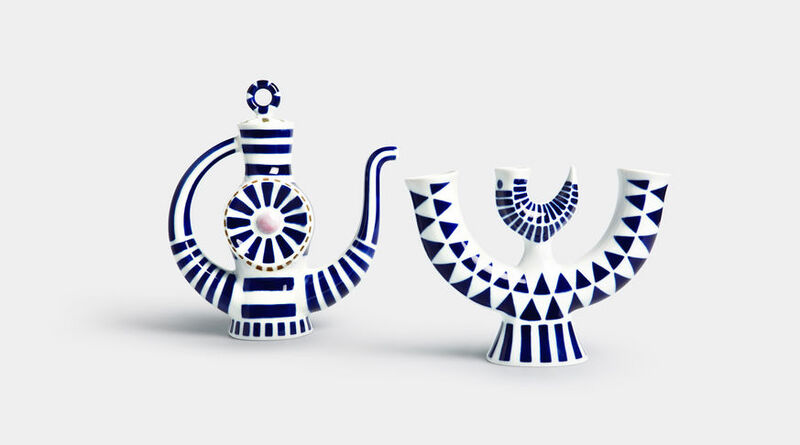 Known for its original designs, inspired by the motifs, forms and colours of Galician culture, Sargadelos produces hand-decorated, hand-finished porcelain at its two factories in the region. 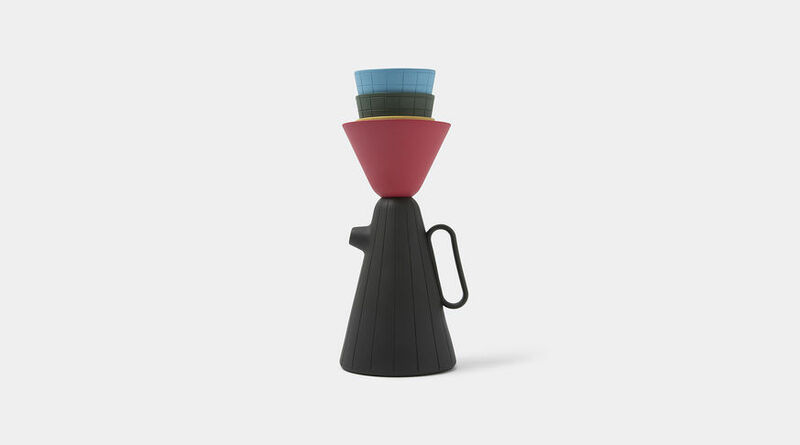 Drinking Jug Buñica Coffee Pot is a boldly characterful piece in the brand’s signature hues. Based on a fascination with transparency and perception, Boris Klimek’s ‘Lollipop’ collection of tables and lighting for Lasvit is at once playful and functional. 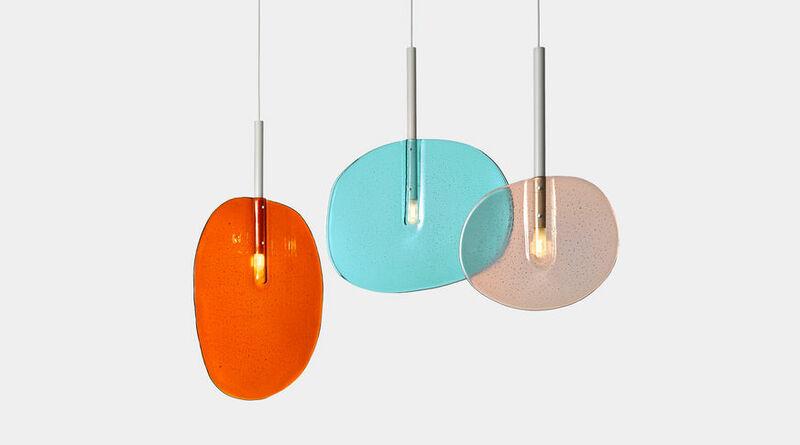 Experimenting with the technique of slumped glass, Klimek has combined organically-shaped glass plates with a metal holder and an inserted light source to produce the ‘Lollipop’ pendant light. The result is a stunning centrepiece light that also offers a beautifully distorted view of reality through a clear lens. 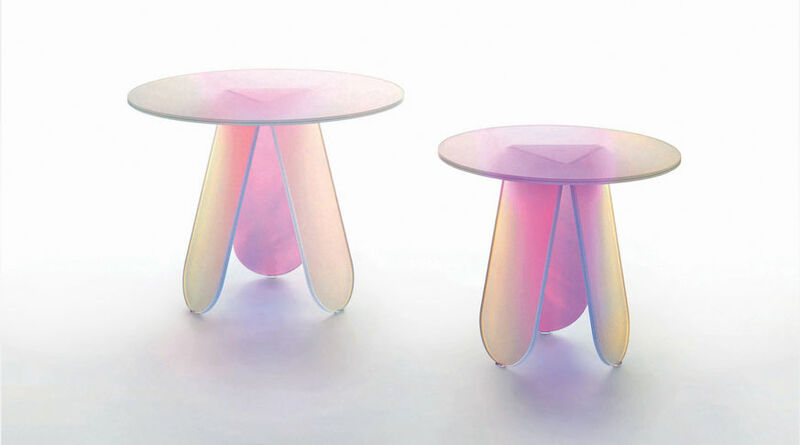 Designed by Patricia Urquiola for Glas Italia, the ‘Shimmer 2’ table has been made from laminated glass with an iridescent multichromatic finish – a finish which reflects light differently depending on the onlooker’s vantage point. 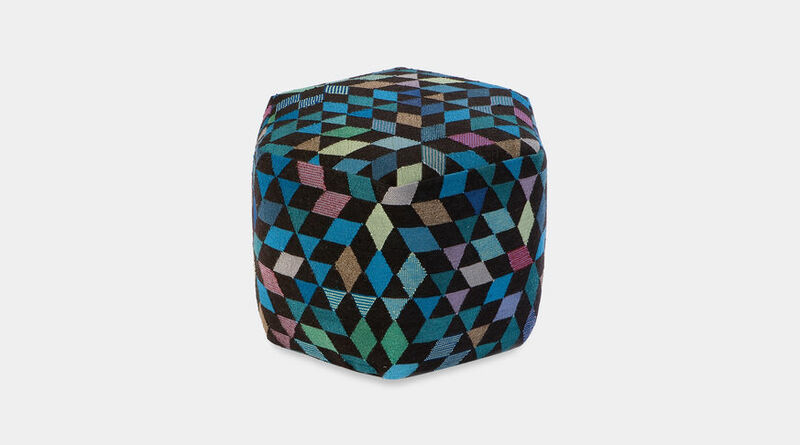 From Bertjan Pot’s ‘Triangles’ collection for Golran, the design of this hand-knotted wool and silk pouf was initiated with an investigation into the weaving technique of the kilim from which its pattern would be spun. Like all pieces from the line, the pouf’s pattern is based on the geometric form of the triangle, which here has been positioned to create a kaleidoscopic series of diamonds and hexagons, emphasised by a clever arrangement of both contrasting and harmonising hues of green and blue. Italian master Ettore Sottsass Jr created this timeless piece for renowned manufacturer Bitossi. 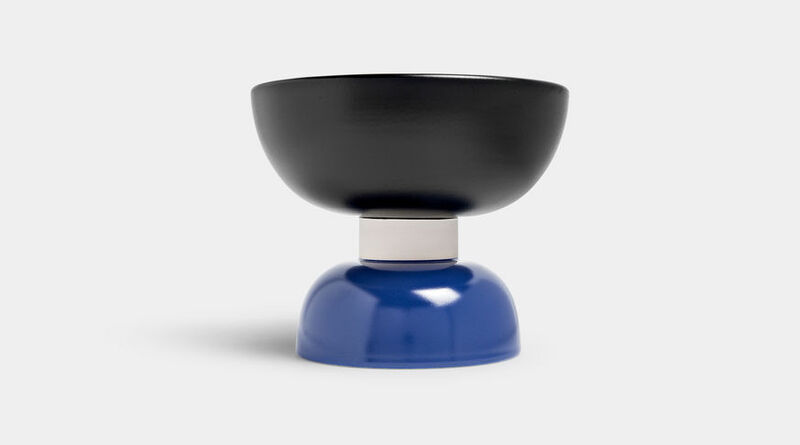 Made in Tuscany using the company’s time-honoured techniques in ceramic production, the black, white and blue bowl bears its designer’s signature bold colours, graphic contrasts and geometric shapes. At once inspiring and challenging, Seem Soap’s ‘Paradoxe’ collection applies the careful consideration of product design to an everyday, often forgotten object. Made with a vegetable soap base and formulated with natural ingredients and pigments, ‘Paradoxe N°1’ is both fragrance- and allergen-free. 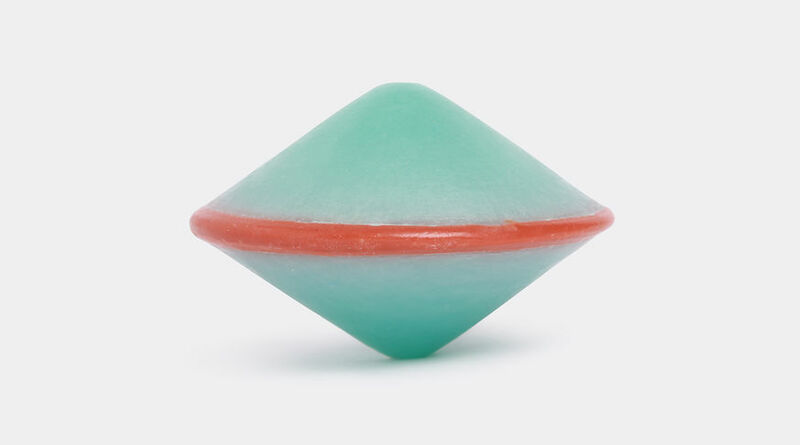 Green tea scented, the soap is ergonomically shaped to fit the hand with ease, while layers of colour ensure this often overlooked item will never go unnoticed.